Anurag Kashyap is well known for his “out of box” thinking. 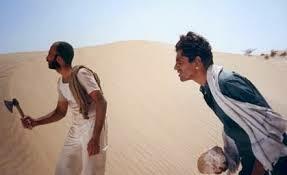 That Day after Every Day is a brilliant short movie by Anurag kashyap on the issue of eve-teasing. It was released in 2013.This Film Features Sandhya Mridul, Radhika Apte, Arannya kaur, Geetanjali Thapa and Mahesh Balraj in leading roles. This Film circulates Around 3 women who overcome their helplessness in a situation where eve teasing had become a daily routine in their life and when no one was willing to help them from within the society. Written by Nitin Bharadwaj, and Produced by Sankalp Acharekar and Omer Haider. This is a story which everyone can relate to. “3 SHADES” An Inspirational short film of an innocent boy is written and directed by Vivek Joshi. The quality of human race is deteriorating, this short films hits the right spot when it comes to portraying the double standards the society has equipped over the years. Everybody is patriotic in this country, but on occasions. This movie will tell you the story of a little boy, how his journey changes between “January 26” and January 27. A boy is unable to understand that what changed overnight, why the 3-shaded flag in his hands has no meaning anymore which was being seen as a symbol of patriotism a day before. That boy is a metaphor for the state this country is in. Beautifully directed by vivek Joshi. This film will bring you face-to-face with two most embarrassing and bitter truth of our country. This Short Movie is directed by Ayush Kapur starring Naman Jain, Princy Sudakaran, Mukesh Bhatt, Chaitnya Sharma.Naman Jain Playing the role of Ajju has won National Film Award as best actor. If You feel problems can’t be sorted out, then watch this short film about a pocket-sized boy Ajju who refuses to beg for a living. 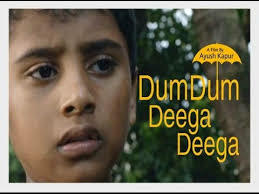 Dum Dum Deega Deega is an award winning short film About a boy lives on the streets of Mumbai but dreams a big, fights with all his odds and decides to live a respectable life. Well, in this 15:15 minute long film, he will leave you stunned beyond words. After Kahaani, Sujoy Ghosh brought back his thunder with a 14-minute long suspense-thriller Ahilya, which has gone viral on social media. It is an excellent watch because of the way it’s been made, rather than twist in the end. Starring Radhika Apte, Tota Roy Chowdhury and veteran Bengali actor Soumitra Chatterjee. Sujoy has taken the mythical story and given a feminist twist to it in this fourteen-minute film which has been Released on 2015. The film begins with the sound of a calling bell, and a policeman who is in search of a missing person enters the house of Goutam Sadhu, a famous artist, to question him which has a spooky twist in the end.